The Canon TS-E 90mm f/2.8 L Macro Lens is a new specialist lens from Canon, launched at the same time as two other TS-E Macro lenses, a 50mm and a 135mm. It is a replacement for the older 90mm f/2.8 TS-E lens. The Canon TS-E 90mm f/2.8 L Macro Lens is a specialist lens, with a high asking price which probably excludes most ordinary enthusiasts from buying it. It does however make for an excellent option for rental, especially if you’re not sure if you want one – or if you have the patience to learn how to properly use it. Some of the more creative effects it produces can be a bit gimmicky, so again, renting it makes sense to see if you think you will get much use out of the effects. Canon has produced a superb lens here, with excellent sharpness, high image quality and fantastic build quality. It is a more than worthy replacement for the older 90mm tilt shift lens, considering it now has “L” series designation and macro capability. Just like other tilt shift lenses, you pay a premium to own it, but for those who need one, you’re unlikely to be disappointed. 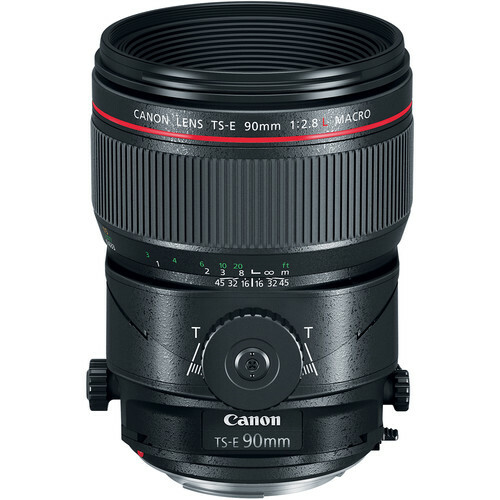 Canon TS-E 90mm f/2.8L Macro Tilt-Shift Lens: $2,199 at Amazon, B&H, Adorama. You can read the full review at Photography Blog.